Planning to hit the town with a date this Valentine’s Day? Here are several Valentine Restaurant Specials to check out! Scroll through the list below to find coupons, kids eat free offers and heart-themed menu items. Boston’s – They will have Heart-Shaped pizzas through Feb. 14th. Plus for every pizza you enjoy until 2/14/18, they will donate $1 to the No Kid Hungry foundation. $1 can provide 10 meals for hungry kids . There are locations in Mill Creek, Bellingham, Smokey Point & Spokane, WA. 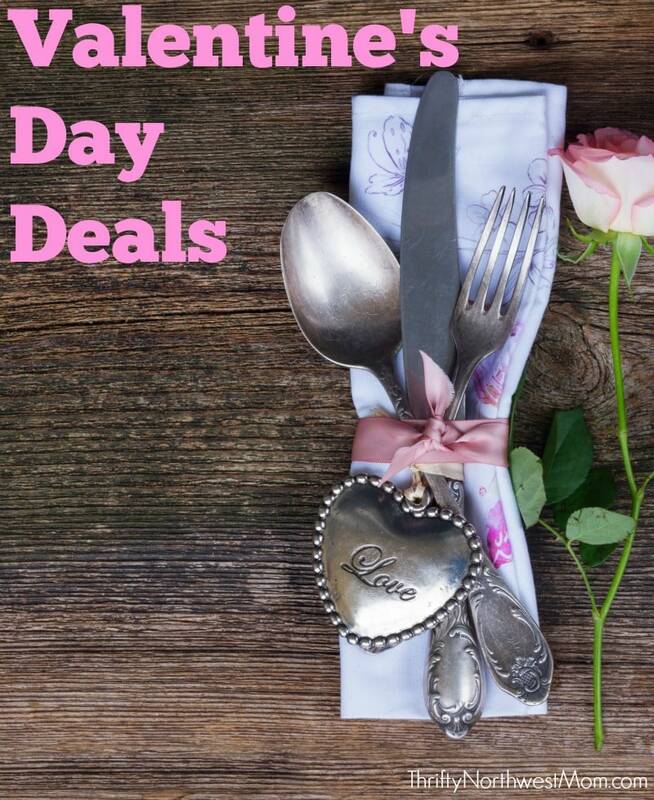 Dinner for 2 for $49.99 (Feb 12 – 14) Includes Heart-Shaped Lasagna salad, garlic bread and cannolli – Get more details here. Enjoy a Dipped Strawberry Cupid Cake order HERE. Red Velvet Blizzards served upside down or your next one’s free – join the Blizzard fan club for a BOGO Blizzard Coupon to be delivered in your inbox each month. Valentine’s Dinner for two good February 9-15, 2017. Price varies by location; a typical price is $80 for two. Choose an apetizer to share, selected entrees including Salmon Oscar or Rigatoni “D”®, and a dessert to share. Couples will also rceive a box of Chocolate Zuccotto Bites to share. For more details go here. $34.99 takeout dinner for two for Valentine’s. Get a soup or salad with breadsticks and dipping sauce, a shareable entree for two, and two desserts for $34.95, Find details here. $42 Dinner for Two (Feb 12-16th). Includes Bloomin’ Onion, 2 9-oz Sirloins and sides, 2 Salads and Cheesecake. Get more details here. $8 HeartBaker Pizzas make a great easy dinner for the kiddos (although prices and participation vary) and comes topped with 3 cheeses and pepperoni or sausage. Limit of 3 per customer, good until 2/14. Buy One Entree, Get One Free when You Share A Kiss At Qdoba On Feb. 14th – with anyone/thing! No coupon necessary – more details here.